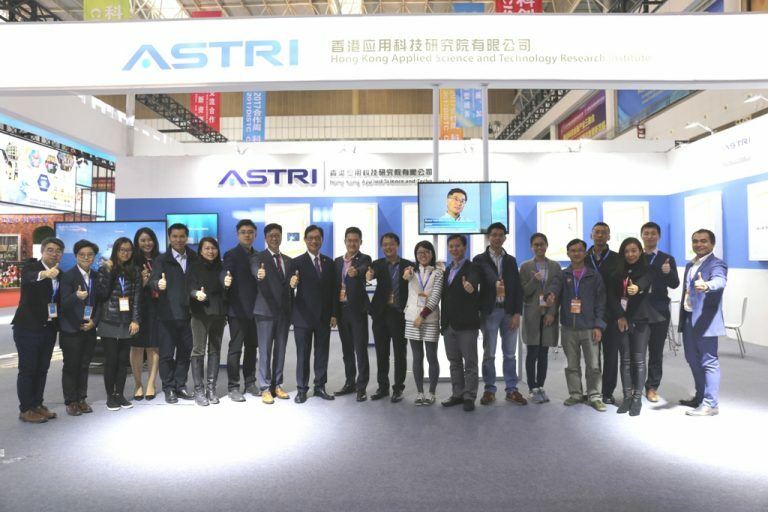 ASTRI is showcasing a series of innovative R&D projects in its booth within the Hong Kong pavilion at the International Science and Research Institution Innovation Achievements Fair, taking place in the Dongguan International Exhibition Centre from 8-10 December 2017. 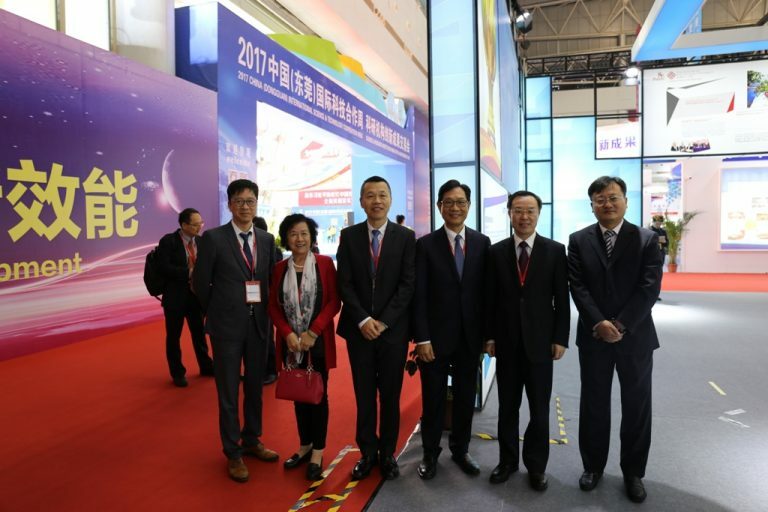 Organised as part of the 2017 China (Dongguan) International Science & Technology Cooperation Week, the fair aims to promote science and technology cooperation to “match research with production” for a better future. 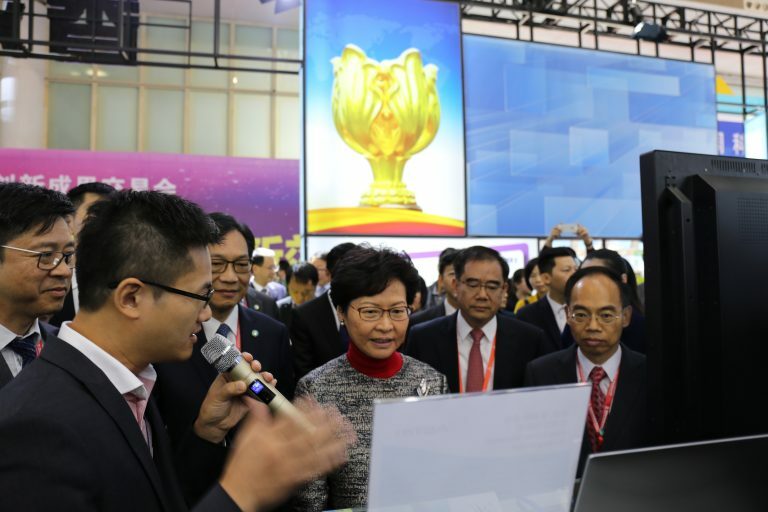 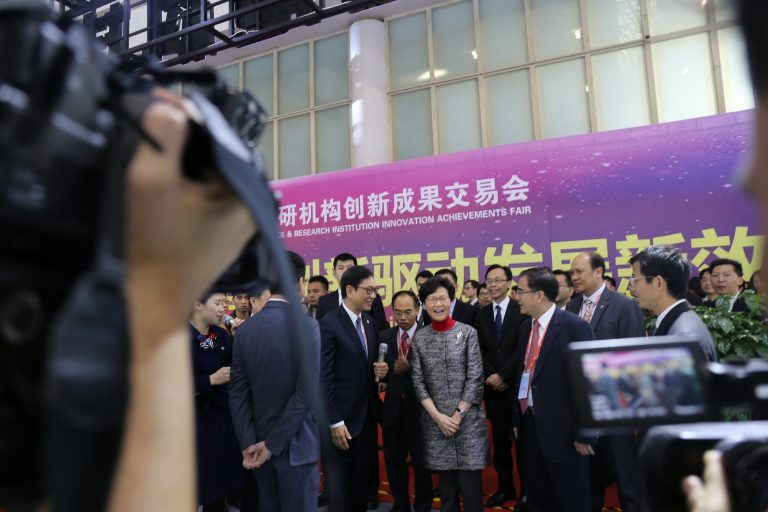 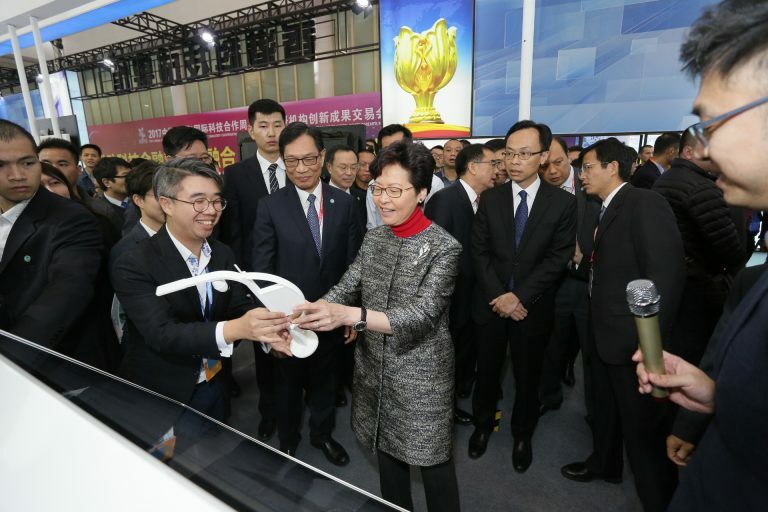 The event’s proceedings included a special tour of the Hong Kong Pavilion for Mrs Carrie Lam Cheng Yuet-ngor, Chief Executive of Hong Kong SAR. 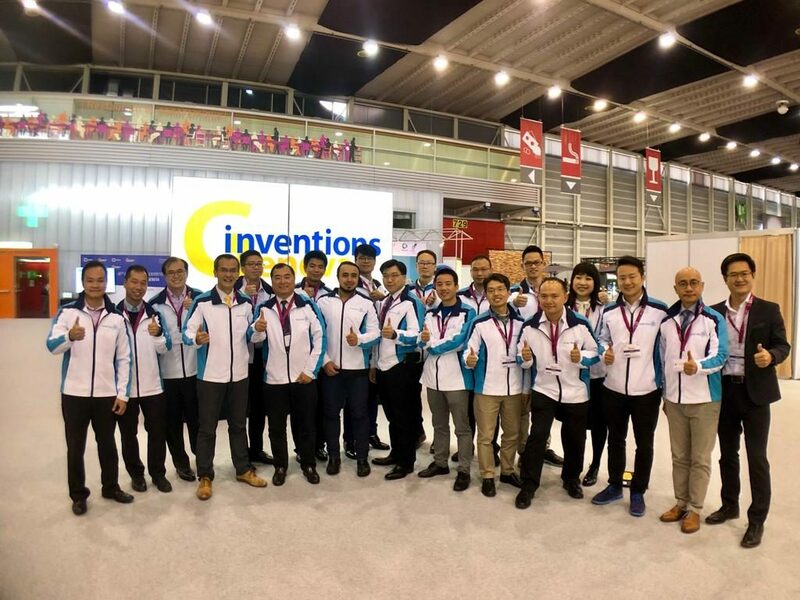 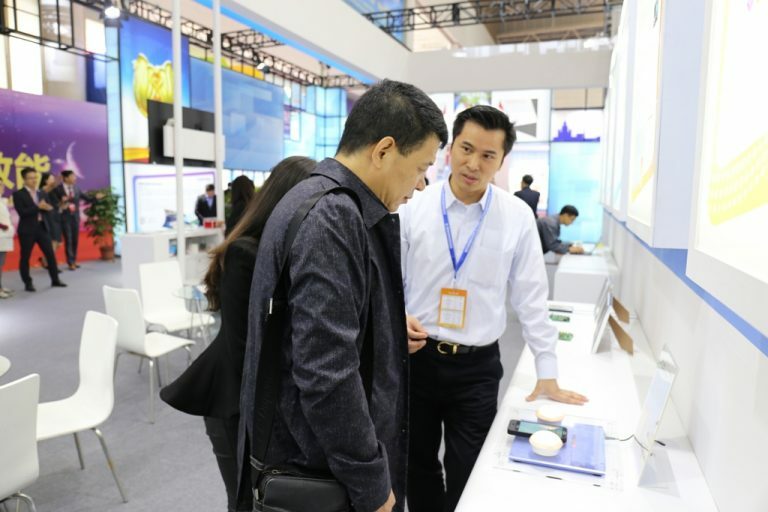 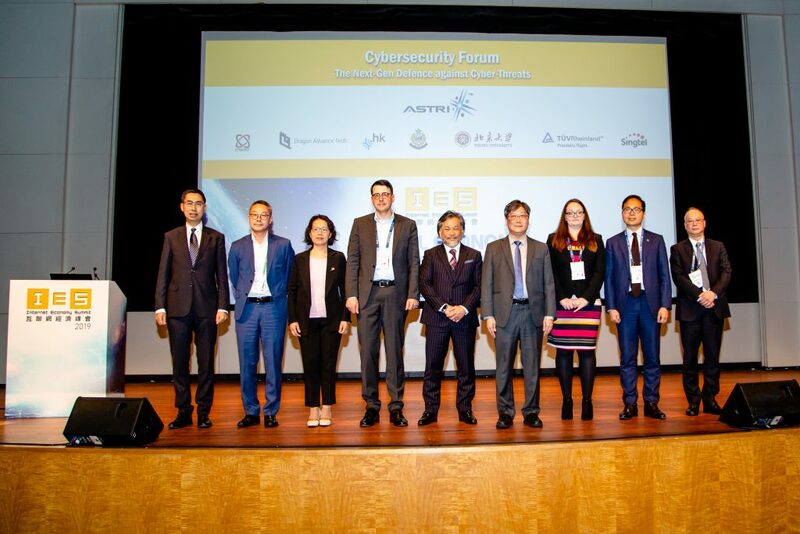 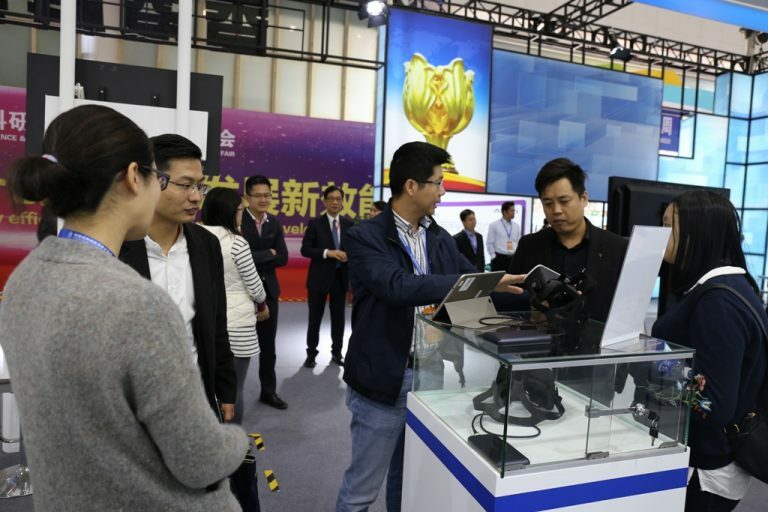 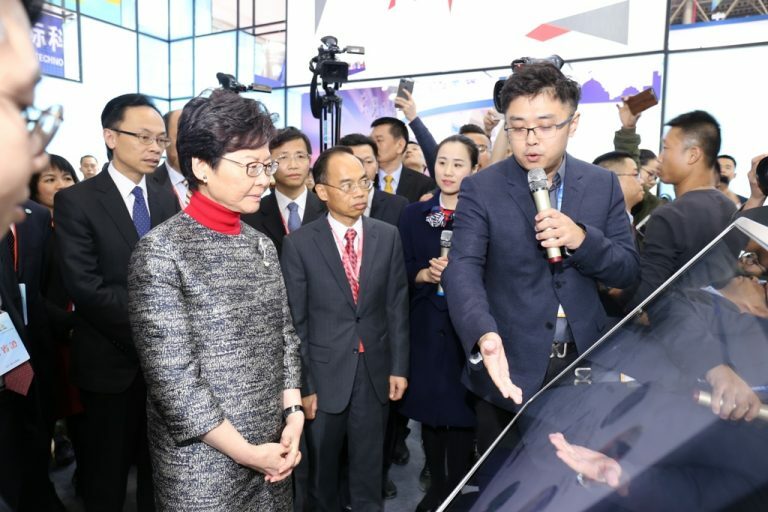 ASTRI’s booth was the first in that tour visited by the Chief Executive, where she witnessed a few technology demonstrations including naked-eye 3D display, biometric sensing-based authentication, smart pole and other next generation network applications. 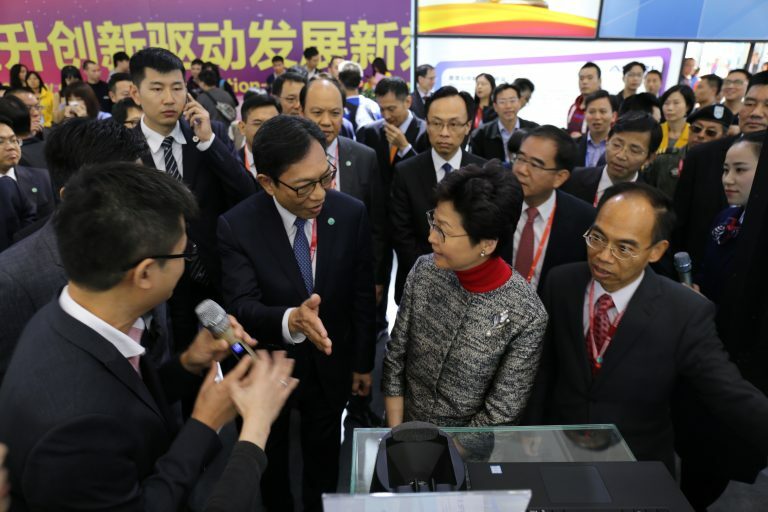 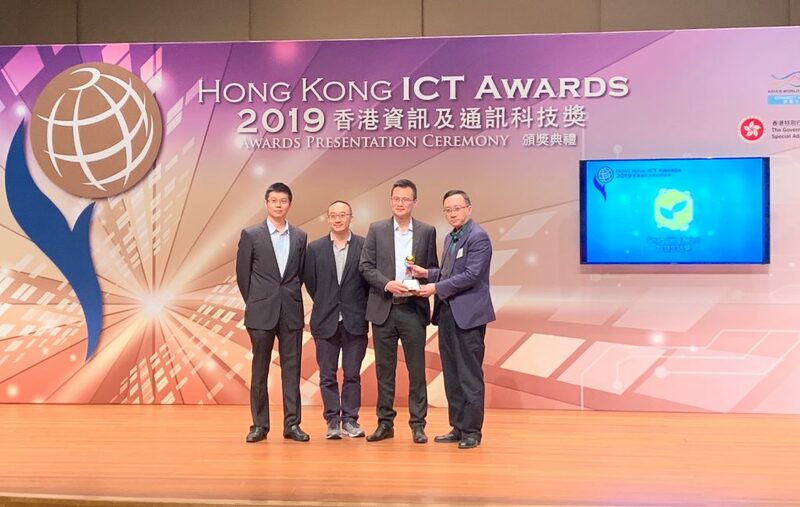 Mrs Lam commented that Smart City development is critically important for Hong Kong. 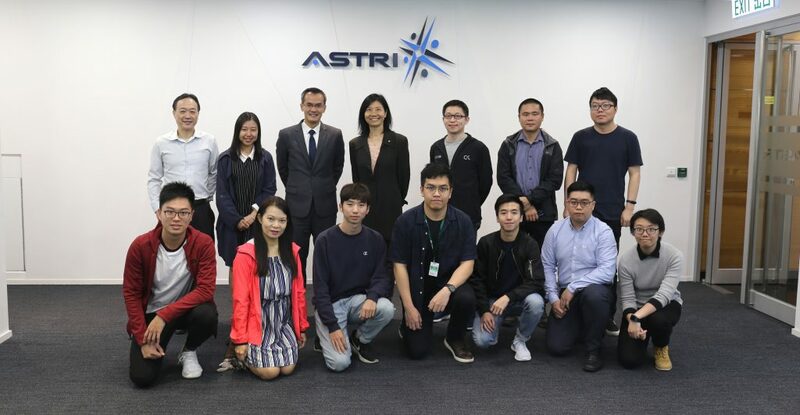 ASTRI team with representatives of its partner organisation Chain Technology Development Co. Ltd.